The bright red letters, darting arrows and catchy slogan dot countless beach access points along the Outer Banks. 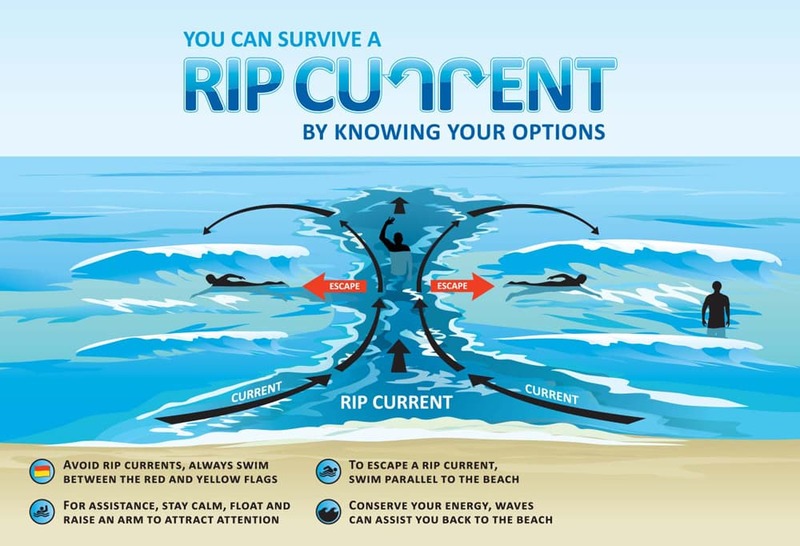 Yet for all the warnings about rip currents and how to “Break the Grip of the Rip!” swimmers still struggle to identify and avoid dangerous rip currents. Scientists are currently working on a detailed forecast model to warn swimmers about rip currents, which are fast-moving currents that can pull people away from shore and through the surf zone. Roughly 100 deaths a year are attributed to rip currents in the United States, according to data provided by the National Weather Service (NWS) and National Oceanic and Atmospheric Administration (NOAA). Eleven of those deaths occurred in North Carolina in 2016, seven of which were on the Outer Banks from Rodanthe to Ocracoke. NOAA Senior Scientist Dr. Greg Dusek serves as the subject matter expert when it comes to rip currents. He is part of a team that uses data collected from NWS Weather Forecast Offices to create a model that can give swimmers and lifeguards remarkable insight when it comes to predicting rip currents. Dusek said NOAA hopes to roll out the forecasts across the U.S. next summer. 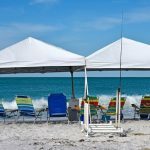 In the meantime, NOAA, the NWS and lifeguards will continue their work in educating visitors and locals about how to spot rip currents and what to do when caught in one. 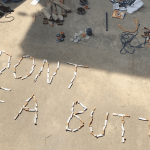 The “Break the Grip of the Rip” program has been in place for more than a decade, Dusek said, and has proven successful in raising awareness. NOAA’s Ocean Today group produced four videos about rip currents that will be circulated on social media again this summer. One of those videos was filmed in 2015 in conjunction with Kill Devil Hills Ocean Rescue, which has also teamed with NOAA’s Dusek over the last few years to provide lifeguard date to scientists as they develop the model. 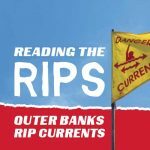 Those videos can be found online at oceantoday.noaa.gov/danger-zone.htmland include drone footage of rip currents with green dye to illustrate what rips look like. No matter the awareness level, people still get in trouble and unfortunately, sometimes drown. Motz, who has worked with Nags Head Fire & Rescue for 17 years and served as ocean rescue captain since 2005, said his team of lifeguards performs 250 to 300 rescues a year, with 70 to 80 percent of those from rip currents. Ocean Rescue personnel up and down the beach remind people about swimming near lifeguard stands, but that advice can fall on deaf ears. For everyone enjoying a day at the beach, it’s important to be observant and look for rip currents before entering the ocean. 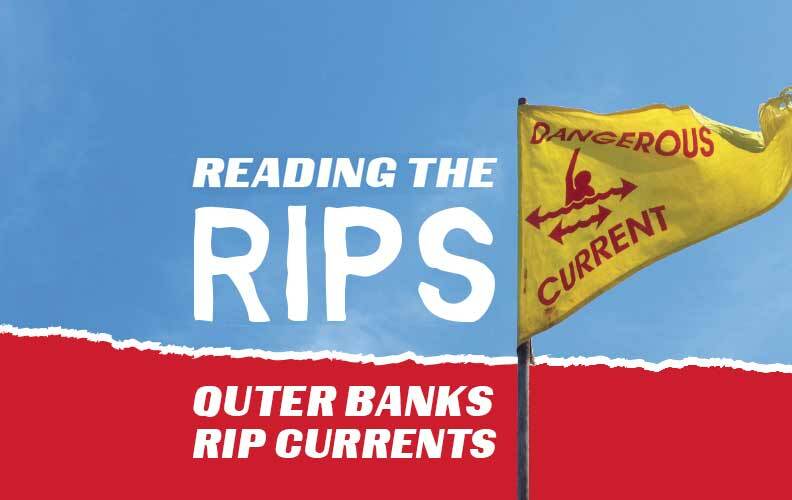 Motz explained that rip currents occur most often on the Outer Banks two hours before and after low tide. That’s when sandbars are most exposed. People swim out to the bars and then get caught in a lateral current. Dusek encourages swimmers to stand on the dune line before walking down to the water’s edge. People should look for places where the waves aren’t breaking, because those are the spots where there’s deeper water and rip currents are more likely to form. It’s also helpful to look for water discoloration due to sand, sediment and foam being transported offshore in a rip current. A recent NOAA initiative included inserting green dye in a rip current to illustrate its seaward movement. Photo provided by NOAA. Some days, people ask a dozen times about rip current dangers. Other days, the guards won’t get a single question. Worrying about rip currents only on rough days is a common misconception, though. Dusek said strong rip currents can be present with waves in the 2- to 3-foot range, and Dodson added that some of the most dangerous times on the Outer Banks can be deceiving. To warn people of the dangers, Foster draws diagrams in the sand to illustrate the notion of swimming parallel to the shore to get out of the current before making your way back to safety. Lifeguards in Kill Devil Hills also place yellow flags on the beach to stake out where rip currents are present. But it’s still something people worry about, and try to fight. And if the rip current does pull you out, the best advice is to keep calm. Reprinted from My Outer Banks Home, Summer 2017.